When choosing a company to help you claim back the money you may be owed from mis-sold PPI it is important to use someone who is knowledgeable about the legal process and won’t charge you lots of money for unsuccessful PPI claims. 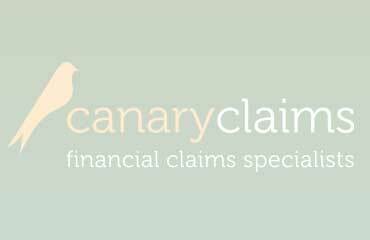 Canary Claims has helped lots of people reclaim PPI payments and offer a no win no fee policy*, [Cancellation charges may apply only if the claim is cancelled after the 14 days cooling off period. The fee would be based on the work done at the time of cancelling at a rate of £120 per hour and up to a maximum total of £180] charging only 20% + VAT (approximately 23% including VAT)for successful PPI claims we are very competitive in pricing and have a proven track record of claiming back thousands of pounds for our customers. Some companies will offer cheap fees but won’t mention the hidden costs such as keeping the interest on your PPI payments which could be thousands of pounds. You don’t have to take our word for it though, read what all our happy customers have to say about us in our latest PPI claim testimonials category!